TWIG: A video game.. high school? You know what’s out this week? The synopsis: Brian D is your average gamer, and when The Law, king gamer of VGHS, jumps into a random public server and decides he’s going to have a little fun on national television showing off his skills on Brian D’s ragtag team of casual gamers, he never thought he’d be humiliated by someone so beneath him. Defeating The Law gets Brian D invited into VGHS, where the real adventure begins. And you know what else? Harley Morenstein (of Epic Meal Time) is the principal. VGHS is on its third episode as of May 30. Why wait so long to write about it? Well, it’s like this… I wasn’t sure how it would hold up. I had high hopes and expected it to be brilliant from start to finish, since the individuals involved in the production are known for quality, but I know all too well that the first couple chapters (episodes, in this case) of something can pale in comparison to the latter part of the story. I’m happy to report that each episode thus far has not only been hilarious, but very solid to my near-sighted eyes. I feel confident enough to say now it will thoroughly entertain from start to finish. If you like video games, chances are you will like this, and identify with it. If you don’t like video games… what’s wrong with you? And why are you reading a weekly article devoted to game releases? Anyway. I gush about it on twitter a couple times a week, especially when the new episodes come out, and now I get to gush about it here. 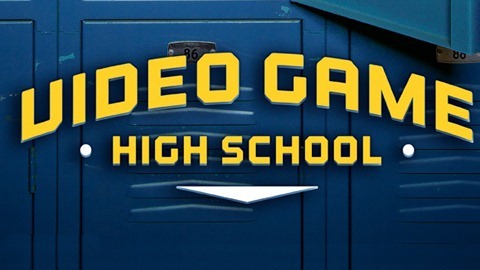 Video Game High School! Available on Rocket Jump and Youtube. Go. Watch. Enjoy. Support the geeks at this level and you never know what brilliant pieces we’ll get rewarded with in the future. Tagged Freddie Wong, VGHS, youtube.